Gifts and/or pledges of cash make the most immediate impact and can be applied to any of the initiative goals: clinical excellence, research, faculty endowment, student scholarships, or community care. For pledges, UT System requires that payments be spread over no more than five years, and that pledges be more than the established minimum. Gifts of negotiable property, such as real estate, stocks, bonds, oil and gas royalties, and mineral rights are all acceptable as one-time gifts or, in some cases, to satisfy pledges made by the donor. Transfers of property are made through UT System offices, with 100 percent of your gift value applied toward the intended purpose at the School of Dentistry. With real estate and negotiable securities, the value of the gift is tied to the date of receipt, with these properties converted to cash for the intended gift purpose. In some cases, such as oil and gas royalties and mineral rights, the properties may be held by UT System to provide ongoing income to the dental school. Any gift can be made in honor of, or in memory of, an individual. This is a special way to honor a family member, a respected professor or mentor, a loved one, etc. In many cases, a donor may find a greater ability to give through planned gifts, such as a bequest in his or her estate, or the creation of a trust that gives income to the School of Dentistry and keeps the assets for your heirs, or vice versa. Planned gifts can also help reduce the tax burden on estates and individuals. The UT System offices and those of UT Health Science Center at Houston (UTHealth) have experts in this field who can map out possible methods for your planned gift. As with any estate or planned gift, it is important to gain the advice of your financial adviser. Recognition of major gifts can include the opportunity to have your name, or that of someone being honored or memorialized, attached. Gifts to the new School of Dentistry can include appropriate recognition in a laboratory, clinic, office space or academic area. Scholarships and professorial endowments also offer recognition opportunities for your gift. In 2012, UTHealth School of Dentistry launched the UTSD Impact Fund, a permanently-invested endowment designed to support faculty and staff excellence in teaching, research, and clinical care at the school. Gifts at certain levels to the Impact Fund provide the donor with a “piece of the past,” a custom-milled segment of the original cladding from the Dental Branch Building. This unrestricted-gift fund to the School of Dentistry allows donations to be applied to the greatest need or to achieve the best outcome for our students. Administered directly by the dean, this fund supports special functions, travel, research and other expenses that arise during the course of the year that add to the value of a UTHealth education. Research has shown that Americans often do not seek routine dental care because of financial, cultural or even physical challenges, such as lack of transportation. As a result, dental diseases disproportionately affect the poor, children and the elderly. Your gift will help us reach out to these under-served patients through our mobile dental vans and in cooperation with a wide network of community organizations. This work also inspires our graduates to give back whenever possible -- now and in the future. A wide variety of research efforts are under way at the School of Dentistry, ranging from biomaterials to diagnostics to better treatment for many kinds of diseases, injuries and birth defects. Your gift will help support research in its earliest stages. Presentations, travel and opportunities to collaborate are all assisted through the School of Dentistry Research Fund. The Dental Hygiene Program at UTHealth School of Dentistry provides baccalaureate-level education to dedicated healthcare professionals who are critical to the mission of dentistry. Your gifts will support scholarship and research, ensuring the best possible experience for our students. 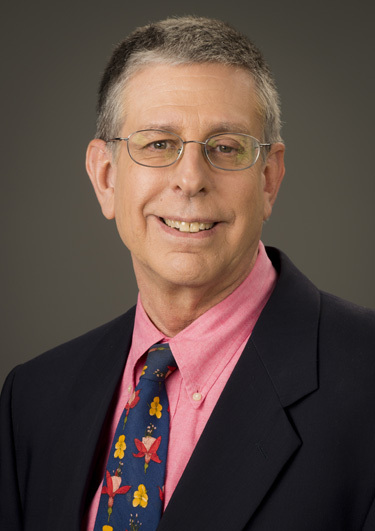 The Distinguished University Chair is the highest endowed position available and is bestowed to the best of the best at The University of Texas Health Science Center at Houston. A mark of great achievement, this honor signifies the valuable contribution made by the leading minds of the health science center. A $3 million gift is required to establish a Distinguished University Chair endowment. A Distinguished Chair is a high honor often bestowed on deans and division directors of special merit. This is a prestigious honor that serves as a great incentive when attracting high-caliber educators and researchers for leadership positions at the university. A $2 million gift is required to establish a Distinguished Chair endowment. An endowed Chair is a distinction given to high-performing department leaders and senior faculty members. This honor is a valuable retention-and-recruitment tool that allows the university to recognize the efforts of current educators and researchers, as well as attract leaders in the health science community. A $1 million gift is required to establish a Chair endowment. Distinguished Professorship funds support faculty members as their skills are honed and their reputations as teachers and scientists grow. Designed to honor outstanding faculty members for their accomplishments, these position are another key factor for recruiting and retaining exceptional scholars. A $500,000 gift is required to establish a Distinguished Professorship endowment. An endowed Professorship recognizes rising stars and supports outstanding faculty. Funds from this type of endowment are typically used to help further research and teaching in areas of critical importance in the school. Endowed professorships help UTHealth encourage and retain the most talented faculty in the country. A $250,000 gift is required to establish a professorship endowment. Endowed Fellowships are excellent tools for attracting high-performing faculty members and/or graduate students. These recipients, in turn, make major contributions to the university’s research efforts. Fund income from this type of endowment is used to help support these research projects and, in many cases, provide a small stipend to support them. These individuals are well into their academic careers, and many have already incurred substantial debt to finance their education. Without available endowments, a number of schools within the health science center are finding it increasingly difficult to attract top students to these important research positions. A $100,000 gift is required to establish a faculty endowment and a $25,000 gift is required to establish a graduate fellowship endowment. Creating an endowed scholarship helps our institution attract the finest students, many of whom might not otherwise be able to afford to nurture their talents without the benefit of financial assistance. Scholarships may be awarded on the basis of academic merit, but also may consider financial need and other factors, if the donor chooses. For example, one may wish to establish a scholarship specifically for students in a particular field of study. Scholarships may be structured as one-time awards or designed to assist students over the course of a multi-year degree plan, provided the students maintain eligibility and academic standards. Scholarships may be named for the donor or to honor any individual the donor chooses. Providing an endowment for a lecture series allows faculty and students to meet and learn from distinguished scholars. Funds from this type of endowment also may be used for honoraria and travel expenses to bring such noted speakers to campus. Endowed awards and special funds are additional tools for recognizing and rewarding achievement within the university. These types of endowments may be designated for specific purposes, such as support of research of special interest to the donor. These endowments also may be used to establish scholarships, student loans, or awards for outstanding professors or students. Funds may be designated to support laboratories and research facilities. The amount necessary to establish an endowment for an award or special fund varies, depending upon the specific wishes of the donor and the design of the endowment. To make a gift or to request for more information, please contact Senior Development Director Beth Wilson at 713-486-4380 or Elizabeth.K.Wilson@uth.tmc.edu. UTHealth School of Dentistry works with a number of community outreach programs, education projects, schools and health care centers in the community. This care is provided by our faculty, residents, students and dental hygiene students. The CCR’s mission is to lead cutting-edge research to identify, understand, prevent and treat craniofacial disorders. The CCR is under the direction of nationally recognized geneticist Jacqueline T. Hecht, PhD, MS, professor and associate dean for research at UTHealth School of Dentistry, and director of the Pediatric Research Center at UTHealth Medical School. In 2013, UTHealth School of Dentistry became one of the first dental schools in the United States to establish a Center for Teaching & Learning to focus on oral health professionals’ transition into skilled, effective educators. The CT&L strives to work with incoming faculty members for a lifelong commitment to mentoring, masterful teaching, and leadership. UTHealth School of Dentistry has created new, state-of-the-art laboratories in support of the Houston Center for Biomaterials and Biomimetics and its research. The center’s goals are to advance the restoration and maintenance of patients’ smiles and function, with specialized research in Oral Biomaterials, Clinical Technology, Sustaining Oral Health. The Professional Resource Center provides professional, business and ethical counseling for all UTHealth School of Dentistry students, residents and alumni at no charge for the first three years after graduation. The services of the PRC remain available to all alumni thereafter through annual registration and donation opportunities. Strengthening a well-established legacy of generosity to research at the School of Dentistry, John Powers, PhD, and his wife Susan Powers, PharmD, named the school as a beneficiary for part of their estate — a planned gift estimated at $600,000. Their commitment continues the tradition of giving the couple began in 1999 when they established the John and Susan Powers Dental Student Research Fund. In 2013, they created the John M. Powers, PhD, Professorship in Oral Biomaterials in the Department of Restorative Dentistry and Prosthodontics. The Powers’ estate gift will elevate that professorship to a distinguished professorship, increase the corpus of the student research fund, and establish the John M. and Susan M. Powers Dental Endowed Research Fund. 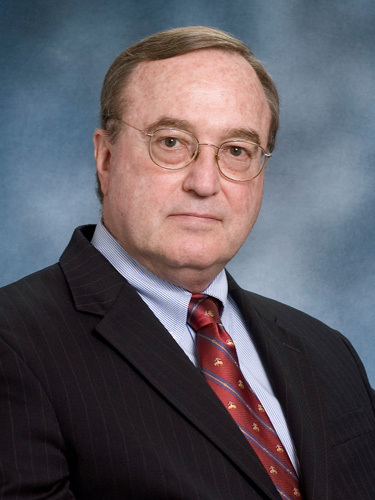 John Powers is a professor of oral biomaterials in the Department of Restorative Dentistry and Prosthodontics and has a long and distinguished career in academic dentistry. He has authored more than 1,000 scientific articles, abstracts, books and chapters, and he serves on the editorial boards of numerous dental journals. School of Dentistry alumnus Steve Koo, DDS ’99, and wife Jessica have pledged $100,000 to enhance the Steve and Jessica Koo Endowed Fund, which supports the postdoctoral program of the Department of Oral and Maxillofacial Surgery. The university matched the Koos’ commitment through the recent Game Changers Initiative, increasing the fund by a total of $200,000. The Koos also helped found the Thomas M. Weil Professorship in Oral and Maxillofacial Surgery, currently held by Clinical Associate Professor James Wilson, DDS. Delta Dental of California and its affiliated companies, which include Delta Dental Insurance Company, have established a $250,000 endowment to fund scholarships for future pediatric dental professionals. The endowment will make scholarships available to fourth-year dental and second-year dental hygiene students who have shown the most interest, knowledge and proficiency in pediatric dentistry. As the dental insurance provider for UTHealth employees, Delta Dental, has built a strong relationship with the school. The company demonstrated its philanthropic commitment in 2011 with a $350,000 donation to the School of Dentistry Building Fund. Five alumni organizations of The University of Texas Health Science Center at Houston (UTHealth) School of Dentistry have pooled their donations to turn a combined gift of $853,000 into more than $1.7 million for the school, thanks to matching funds from UTHealth’s Game Changers Initiative. The Game Changers Initiative provided a dollar-for-dollar match, up to $1 million, for qualified major gifts to establish an endowment or add to an existing endowment. The largest single contribution – $800,000 – came from the Edward C. Hinds Academy Foundation, an association of UTSD’s Oral and Maxillofacial Surgery alumni, to establish The E.C. Hinds Academy Foundation-John Helfrick Endowment. Dr. Helfrick was a former chairman of the department. and The Thomas W. Wild Pediatric Dentistry Foundation, adding to The Thomas W. Wild Pediatric Dentistry Endowment. Valenza said the Periodontics Alumni Association, in particular, embraced the idea of creating an alumni endowment as something they can promote among their members, with goals for giving and growing the fund. Another new endowment matched through Game Changers is the David B. Meraz Fund for Veterans’ Oral Health, which will support the school’s tradition of providing oral health care to underserved populations in the community. Valenza and his wife, Debbie Valenza, established the fund in memory of her father, a U.S. Army veteran. The fund also has support from The Alumni Foundation and various alumni donors. Others who share an interest in the goals these endowments will serve — oral and maxillofacial surgery, periodontics, veterans’ oral health and scholarships for dental hygiene students — may still contribute. For information about ways to help, contact Beth Wilson, senior development director with UTHealth. “I am especially grateful to UTHealth President Giuseppe Colasurdo for his support of our school by allowing us to use the Game Changers Initiative across the five alumni organizations who gave,” Valenza said.